When you think about gift cards, you first think of Target. Not only Target has literally everything and anything you ever dreamed of, but it is also affordable, and the products have quality. Rather than buying something and having it exchanged because the person didn’t like it, you can give a Target gift card and let the person decide what they want. Also, you can combine Target gift cards, so it is a win-win for everyone. How to Check Your Target Gift Card Balance and Combine Target Gift Cards? 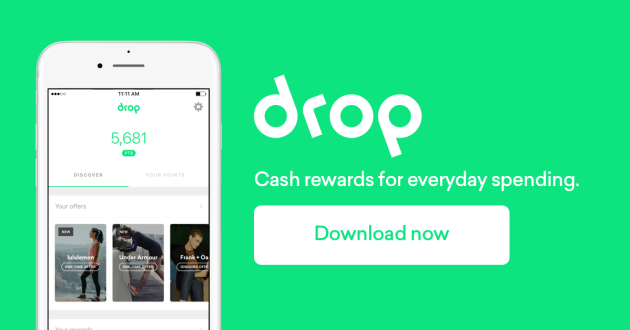 After downloading Drop, you will be asked to choose five stores and restaurants that you visit frequently. Every time you visit them, points are added to your account. After you accumulate a certain number of points, you can convert them into Target gift card balance. Depending on the store or restaurant, you get anywhere between two to 16 points per $1. For Target, you get eight points per $1. 1,000 points convert into $1 for the gift card. Even though it seems a lot, you won’t know when your account fills up with tens and thousands of points. Keep an eye out for special deals at Target that give you free gift cards on big purchases. For instance, get $10 gift card on buying diapers and wipes worth $75. As a new parent, you know how many diapers and wipes you go through the first year, so it sounds like a good investment. These offers are mentioned on the Target app, so check it before heading to the store. When you sell old electronics at Target, they pay you back in gift card money depending on the current value. What Target pays you back is always lower, but it is a good way to get rid of old electronics that are of no use to you. The method is simple, and Target employees act very quickly. You’ll be out of the store in 10 minutes. 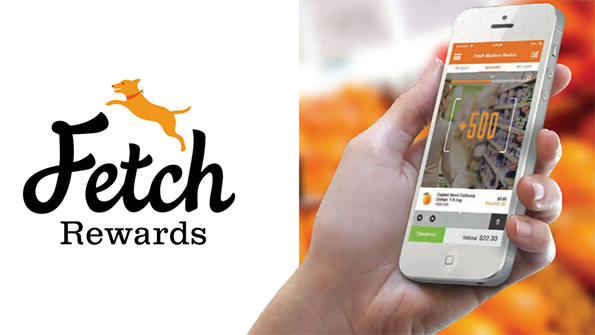 Fetch Rewards lets you earn points by two methods – buying products from the app or buying products any partner store. After making the purchase, upload your receipt photo on the app and the points will be added to your account soon. You will get $1 for every 1,000 points you collect, and you can redeem once you collect 3,000 points. Points you can get vary according to the brand and type of products. Shopkick is one of the easiest ways to earn free gift cards without purchasing anything. For doing so, you’ll have to download the Shopkick app. When you visit a store, scan a particular product’s barcode using your phone. You will be directed to a browser followed by a video, which you need to watch to earn kicks. If you choose to purchase it, and upload a photo of the receipt on the mobile app, you are sure to get more kicks. You can $2 got 500 kicks, $5 for 1,250 kicks, $10 for 2,500 kicks, $15 for 3,750 kicks, and $25 for 6,250 kicks. 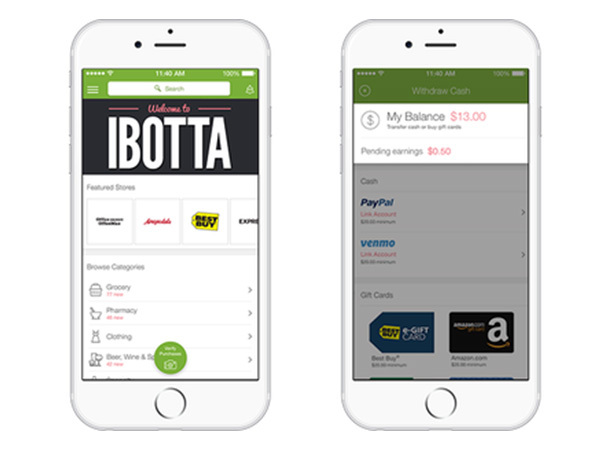 If you’ve been piling up on e-gift cards from diaper and apparel purchases, you can instead cash them out with Ibotta. After you collect $20 worth gift cards in your account, you can transfer cash to your account. You can add this amount to your savings for a big purchase in the future. Even though conducting surveys is not the most favorable part-time job, you can spend some of your spare time on it for collecting free Target cards. Some online survey websites that you should visit include Swagbucks, Survey Junkie, and Toluna. Some surveys also give you points for watching videos. Once you collect the minimum points, you can convert the money into Target gift cards. Gift Card Granny is an online discounted gift card shop that offers up to 15 per cent in discount. It also has a loyalty program where you earn extra points after signing up for the newsletter, referring to a friend, and purchasing a discounted card. You get a $5 gift card when you accumulate 1,000 points. Berry Cart is a sweet little online shop that sells all natural and organic products that give you nice cash backs. You can use these cash back to carry on your grocery shopping by turning them into Target gift cards. My Points is a website that helps you earn points by opening e-mails. Even though you only get five points per mail, they stack up well in less time. You earn a lot by spending very little time compared to taking surveys and watching videos. The e-codes you get can only be redeemed at Target.com. When you upload receipts of your Kellogg’s products purchase on the Kellogg’s Family Rewards program website, you earn points. You can use these points to enter different contests, and lucky draws that Kellogg’s hosts. The points can also be redeemed as a Target gift card. Many credit card websites offer special cash back and bonus points when you shop at famous stores including Target and Walmart. You can accumulate these points and redeem them when you reach the threshold or buy gift cards at a lower price. Credit cards also offer sign-up bonuses, which is a huge advantage. When brands launch new cars, car dealerships offer gift cards for free in exchange for test drives. With so many car brands available in the United States, it has become very easy to find such deals. Look up in the newspaper for such deals. You might even like the car and purchase it for the family. Living in California, Toronto, or Texas is a huge benefit because you can sign up with Ohm Connect and get rewards for saving electricity. You get a $20 Target gift card as a signing up bonus. You will have to connect your utility account to your Ohm Connect account. Every once a week, Ohm Connect will send you a message to switch off all electricity for an hour. If the savings are reflected in your energy bill, you’ll be rewarded in cash. For this, you’ll have to download the AppBounty app. It will show you free apps that you can download. You have to use these apps for at least 30 seconds to get credits. You get $1 for every 500 credits, which you can convert into Target gift cards. How to Check Your Target Gift Card Balance? Target website – You can visit the Target.com website and search check gift card balance, and you will be directed into a page. Mention the card number and pin number of your account or access number of the card. Click on Check Balance, and you’ll get the details. We find checking online as the easiest and most hassle-free way to find out the balance. Call Target customer care – dial 1-800-544-2943 on your mobile phone. You will hear the automated message. The person will ask you to select from a list of options. You will have to press one to check your gift card balance and type the 15-digit number followed by the access number. The automated message will then inform you of the amount. Visit Target store – ask the cashier to check the balance in the gift card. You will get the information in a few seconds. There is a tiny box in the back of the gift card where you can write down the amount. How to Combine Multiple Target Gift Cards? Create an account on Target.com. After you enter your phone number and sign in successfully, click on Save a Gift Card. Fill in details of one Target gift card and save it. Similarly, add the remaining ones. Exit and go to the list of Saved Gift Cards. Tap on one gift card and select Combine. All the money will be transferred to the select gift card. If you want to confirm that the transactions were successful, visit your nearest Target store. In case you misplace the card, you can show the cashier the barcode and get it redeemed. You can use the same method to combine any number of cards. These 15 ways were only a few of the many ways to get a free Target gift card. We’ve tried all of them, so you don’t have to worry about any of them not working. Checking for Target shop deals, like getting $10 gift card on purchase of $40 worth apparel is the easiest way to earn maximum money. If you have a lot of cards piled up, we advise you to keep saving and combining them on the mobile app, so they don’t get misplaced. You don’t have to worry about gift cards expiring. Rather than making small purchases using it, you can save cards for six to 12 months and buy something big.